Discussion in 'Announcements' started by Murgatron, Feb 8, 2018. Annihilation - Spring 2018 Tournament! 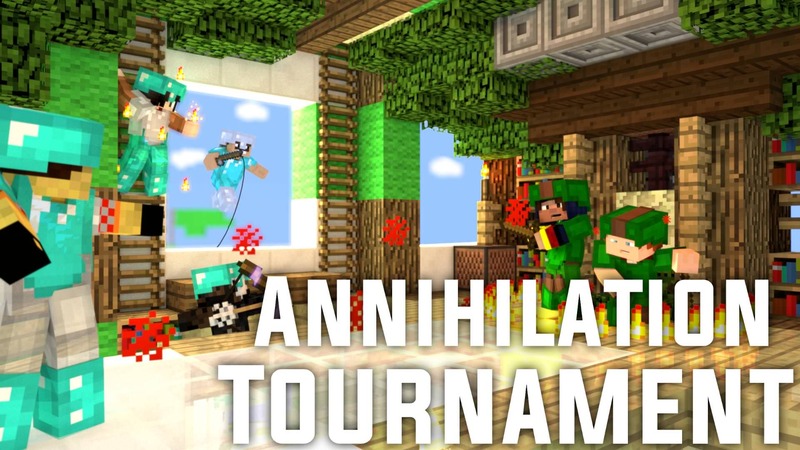 I am proud to officially announce the Annihilation - Spring 2018 tournament! The tournament will be running throughout March 2018 with the first match being on the 3rd of March. Times for each match will be adjusted to suit teams local timezones where possible. The official brackets will be announced on the 26th of February, format being subject to the number of teams who enter. Late entries are still being accepted! We still have some slots available, but at this point entry will not guarantee you a place in the tournament. Once all slots are filled, any additional entries will have the opportunity to be substitutes in case of no-shows. An exclusive custom nexus balloon! A time limited NPC in the lobby for the winning team! 50,000 SBXP per clan member! 20,000 SBXP per clan member. All participating teams will be granted a coloured clan tag, the colour will be chosen by staff after the winning team selects their preferred colour. Players can only be on ONE team (no alternative accounts on other teams, etc). Clans can submit multiple teams. Phase 5 will be nexus bleed. Teams that cannot meet their match times/fail to show will be automatically counted as a loss. Shotbow rules apply, as per usual. Matches may be live-streamed, subject to staff availability and ability. Jeroen_jb, Kerb___, Soqhla and 14 others like this. TheDarkTwister_, FenerHooligans, BariChan_CC and 6 others like this. Need discord + a microphone,experienced with good classes and to be 14 or older. embas123, Murgatron and Maashg like this. Took y'all way too long, i'll edit this post for Lineage. This is our official team for this tournament! Good luck everyone, let's all not crossteam with other clans and may the best clan win! BadAdministrator, FixGoldNameTag, ProjectMovieZ and 4 others like this. Afflicts and Maashg like this. Afflicts, Murgatron, burundanga and 1 other person like this. Maashg and Murgatron like this. Murgatron and Maashg like this. Afflicts, EnderSerpent4, Murgatron and 2 others like this. Afflicts, Maashg and Murgatron like this. next_stage and Maashg like this.